Shopping for a new BMW i3? First-time electric car buyers may be swayed by a range extender. Most owners report never using it and it’s less effective than it sounds. The 2019 BMW i3 is an all-electric hatchback that declares proudly that convention needn’t apply to eco-friendly drivers. Rear engine, carbon fiber, and an exotic shape might get hearts soaring, but the 2019 BMW i3 takes a different tack. This year, the small electric BMW gets a bigger battery over last year’s version by nearly one-third, but its 42.2-kwh battery and 153-mile range still fall short of competitors. The i3’s looks have aged better than we imagined, although it’s still an oddball on the road. The i3 harks back to a not-so-distant past when “eco-friendly” wasn’t mainstream. The i3 is small, with a futuristic shape that may not ever arrive in the present. The interior is toned down compared to the outside, simple, and chic without being nerdy. The i3 is powered by a 170-horsepower electric motor that drives the rear wheels. It’s paired this year to a 42.2-kwh battery that provides up to 153 miles of range, according to the EPA. A sportier i3s is available that bumps the power output to 184 hp but uses the same battery and is rated the same for range. A range-extended version adds a small 2-cylinder gas-powered engine that adds roughly 90 miles of range. Like all electric cars, the i3’s instant torque is fun to drive and it is brisk compared to other cars powered by gasoline alone, but the i3 (and i3s) fall short of sporty compared to some other electrics. Its skinny tires give up grip quickly but are a boon to overall efficiency. The i3 manages to be comfortable despite tall tires. The i3 surprisingly offers four passenger doors, but the rear doors are small and swing open in the opposite direction of driver and passenger doors. Rear seat riders shouldn’t be tall, just 31 inches of leg room cramps leggy passengers from sitting comfortably in the rear. About 15 cubic feet of cargo space is available with the rear seats in place, nearly 40 cubes with the second row folded. The i3 is available in four trims that rise in price but offer mostly similar equipment. For more than $44,000 to start, buyers get a 10.2-inch touchscreen with one year of Apple CarPlay compatibility, 19-inch wheels, Bluetooth connectivity, and cloth upholstery. 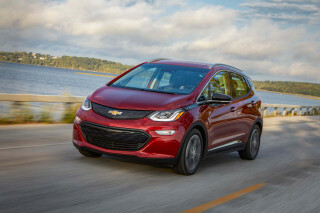 The sportier i3s adds $3,200 to the bottom line, and the range-extending gas engine adds more than $3,800 to the already-high price. The i3 qualifies for a federal tax rebate up to $7,500 and may be eligible for state or local rebates. Despite its wild look, the 2019 BMW i3 manages to look average compared to other cars, somehow. The spa-like interior is the i3’s best look, a simplistic layout with reclaimed materials that fits the i3’s ethos. The Scandinavian feel extends through the dash with a 10.2-inch touchscreen perched atop the flowing dash and a steering column and shift knob on the stalk that’s unlike any other we’ve seen. The materials around the i3 are clean, sharp, and durable, although we’d stop short of calling them luxury. They’re geared more toward the i3’s “green” image, when eco-friendly wasn’t yet a luxury item. The exterior of the i3 hatchback is similarly distinct, although perhaps not in good ways. The wheels are pushed close to the corners, and the short overhangs give the i3 a squat, stub look. Our eyes look at the i3 and see a micro van from Japan in its profile. Your mileage may vary. Its window line expands at the small rear doors, dips into the body line, then pinches together at the rear. The tall and impossibly narrow wheels and tires help save fuel but look like mountain bike tires from the front or rear. BMW’s twin kidney grille shape is drawn on the front bumper—if it were left off, would it still look like a BMW? We’re not convinced. The 2019 BMW i3 gets a bigger battery this year, but its performance is still limited to around-town detail. The 2019 BMW i3 and i3s offer few of the perks of driving an electric car, even with a bigger battery this year. A 42.2-kwh battery takes the place of last year’s 33-kwh pack and boosts overall electric range closer to 150 miles. 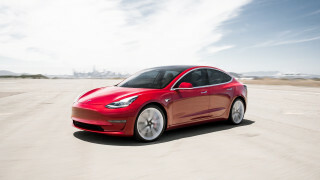 That still lags competitors including the Tesla Model 3 and Chevy Bolt EV. The i3 drives its rear wheels only with a 170 hp motor that makes 184 pound-feet of torque. The lightweight construction of the i3 helps with overall acceleration and the small car weighs roughly similar to a Mazda Miata. 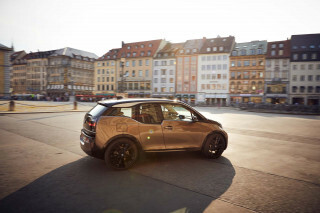 Like other electric cars, the BMW i3 lacks a conventional transmission, its acceleration is seamless, smooth, and exciting for drivers making the switch from gas-powered cars. The i3s adds a scant amount of power to the basic formula of the i3, along with wider tires and lower ride height. All i3 models ride smoothly but may be a little too stiff compared to pillowy luxury sedans that cost nearly as much as the i3. Range-extending models get a small 2-cylinder engine in the rear that’s taken from a BMW motorcycle but doesn’t directly drive the wheels. Instead the small engine serves as a backup generator for the i3, kicking on when the battery is fully depleted and adds more than 90 miles of range. We haven’t yet driven the 2019 version, but previous versions of the BMW i3 REx (range-extended) limited speed when the gas engine helped to power the car. Its top speed is 55 mph, or under heavier loads even slower. On steep grades, the gas engine howled to feed the electric motors current, and its tiny 2.4-gallon gas tank skirts regulations, but not common sense. For the additional cost of more than $3,000 to the high base price of the i3, we urge caution when considering the i3 REx. Many people will notice the skinny, tall tires on the i3, which are better for energy efficiency but not grip. The i3s boasts tires with wider treads, but they’re still smaller than average cars. Electric-car credentials secure, the 2019 BMW i3 narrowly misses its hatchback bona fides with a cramped interior and scant cargo space. Nominally, the 2019 BMW i3 is a four-seater but long legs may disagree with the automaker. Despite the two, smaller “carriage doors” offering decent access to the second row, we wouldn’t advise adults to spend long stretches in the short rear seats. The front seats are thin but accommodating. Most versions of the i3 will be shod in comfortable, recycled material BMW sources to meet the electric-car’s expectation as an eco-friendly hatchback. The driver’s view out front is uncharacteristically good. The i3’s nerdy, boxy looks skip BMW’s stylish, svelte packaging in their other cars—call it functionally dorky. The rear carriage doors are further up than the rear seat backs and some clambering aboard could “flop” into the rear seats once they’re inside. Just 31.9 inches of leg room are available in back, that’s not much for anyone taller than Tom Cruise. The cargo area offers up 15.1 cubic feet of room for gear, which is typical for some compact sedans. The i3’s no compact sedan however, and most of that room is vertical space that may not be usable for some. Stack groceries like a pro and it could be enough, tumble the rear seats forward for more than 39 cubes and a more functional cargo area for hatchback shoppers. In all trims, the i3 is convincingly premium—luxury in some versions. The i3’s been around for just five years, but its interior dates to a time when electric cars wore their “green” on their shirtsleeves. The i3’s interior is a progressive Dutch architect’s fever dream: plain surfaces, open pore wood, brushed aluminum. It’s missing thick, horn-rimmed glasses that surely its owners may be able to provide. The 2019 i3 lacks official crash data. Automatic emergency braking is available on i3 models, but it’s part of a pricey upgrade that costs more than $2,000. 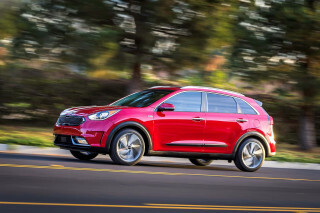 That package adds adaptive cruise control, navigation, automatic high beams, and upgraded adaptive LED headlights, but many other automakers make the lifesaving braking technology standard for far less. Luxury-car gripes aside, the i3 features an advanced carbon fiber construction that has held up well in testing. The small hatchback features good outward vision and is easy to park. The 2019 BMW i3 is an outlier among electric cars for its high cost but few perks. BMW’s odd electric car is comparatively expensive and lacks key features we consider to be oversights for its price. 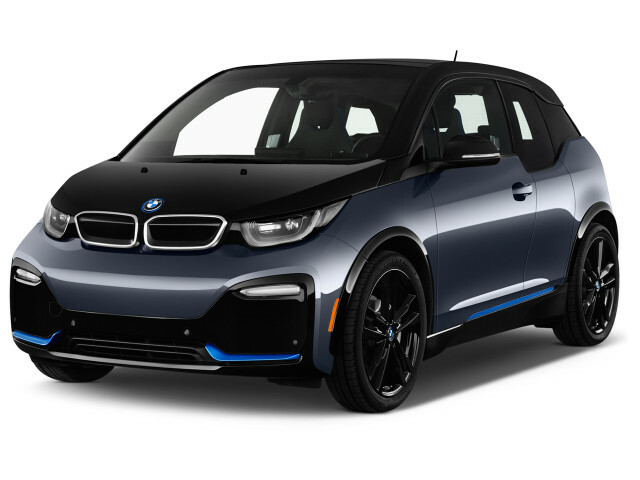 For more than $44,000 before applicable state or federal rebates, the 2019 i3 is equipped with cloth seats, skinny 19-inch wheels, Bluetooth connectivity, navigation, heated front seats, and a 10.2-inch infotainment screen. 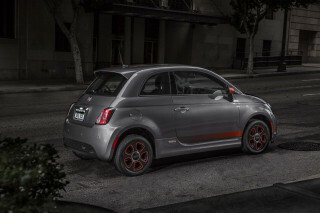 Most of its options are bundled into packages that inflate the small two-door’s cost to more than $50,000. BMW makes available its i3 in Deka, Mega, Giga, and Tera trim levels. The i3s features a higher-output motor and costs $3,200 more than the base i3. Opting for the range-extending gas engine costs $3,850. The top-of-the-line Tera trim includes 20-inch wheels, oak trim accents, and leather upholstery and adds $2,600 to the bottom line. It’s the only package that offers full leather upholstery. A $2,350 tech package adds adaptive cruise control, navigation, and automatic high beams. Apple CarPlay compatibility is free for one year, but costs $80 per year thereafter. We’re not sold on the i3’s value among electric cars and advise buyers to stick closer to base, where the i3 is less expensive. Paying more for an i3 doesn’t make it more luxurious—top trims are nice, but not luxury-car nice. Although some buyers could be tempted by the sportier i3s or the range-extended model (or both), we’re not sold. The i3s isn’t much quicker and owners report using the small, range-extending engine rarely. BMW's standard warranty covers three years of maintenance, and includes a 4-year/50,000-mile bumper-to-bumper warranty that's better than most of its rivals. The 2019 BMW i3 is energy efficient but lacks the battery capacity of some of its rivals. The i3 is available as a battery-only electric vehicle or as a range-extended model with a small, gas-powered generator that doesn’t mechanically drive the wheels but recharges the battery. With the range extender, BMW estimates the 2019 i3 can travel more than 200 miles on full tanks of electrons and gasoline. Despite a new, bigger battery this year, many of the i3’s competitors do better. 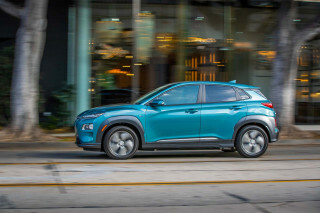 The Chevy Bolt EV is rated for 238 miles of range, the Hyundai Kona Electric goes further at more than 250 miles. The Tesla Model 3’s 310 miles of rated range is tops in the class. Looking for a different year of the BMW i3?